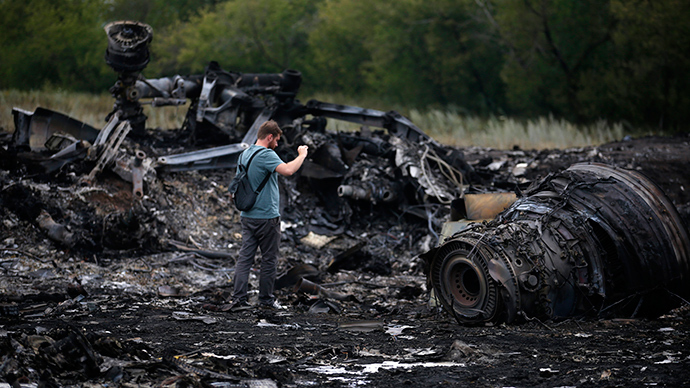 ​Why was MH17 flying through a war zone where 10 aircraft have been shot down? Put yourself in the position of a certain passenger boarding the Malaysian Airlines flight at Amsterdam for the twelve hour trip to Kuala Lumpur on Thursday morning. Given a previous Malaysian flight's mysterious disappearance it's likely he was not the only boarding passenger who was a little nervous when he joked on social media, "If we disappear, this is what the plane looks like." And here's the rub. Malaysia are one of the world's feircest opponents of the phoney 'war on terror', former Malaysian Federal Court judge Abdul Kadir Sulaiman even convening a tribunal in 2011 to try Bush and Blair for war crimes. Endorsed by former Malaysian premier Mahathir Mohamad the tribunal found: “Unlawful use of force threatens the world to return to a state of lawlessness. The acts of the accused were unlawful.” Malaysia has done what the UN and The Hague's International Criminal Court dare not. So if you want somebody to fight a nuclear war, conduct a massacre, or shoot down an airliner for you nowadays you can buy those services on the free market. The proliferation of private military companies since 9/11 suits the military industrial complex very nicely, thank you. But how has the world come to the point where such companies have state protection and business is, quite literally, booming?